He was the Minister of Energy and Mineral Resource of Bangladesh from 1985 to 1988 under Hossain Mohammad Ershad. Anwar Hossain Manju was born on January 1, 1946 in what is now the Pirojpur District of Bangladesh. Hossain has served a lifetime of positions in the government of Bangladesh. He was the Minister of Energy and Mineral Resource of Bangladesh from 1985 to 1988 under Hossain Mohammad Ershad. As Energy Minister, Hossain's achievements include the augmentation of energy generation from 700 to 2,500 megawatts, and the launching of the major public works project of the Jamuna Bridge. Hossain acquired the cooperation and appreciation of the World Bank, Asian Development Bank and other donors (including France, Japan, Germany, and Great Britain) to successfully implement the allotted amount of aid given to the country. Hossain then served as Minister of Communications (1988–1990) for Ershad's government. 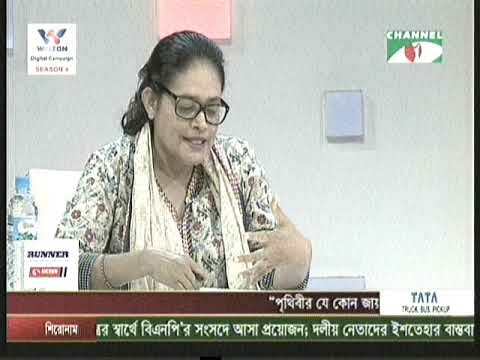 Hossain was a vocal opponent of Ershad's introduction of religious references to the Constitution of Bangladesh. 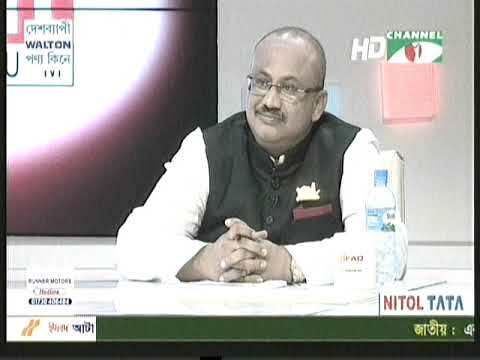 He objected to the declaration of Islam as the state religion of Bangladesh and warned that such an assault on secularism constitutes a slippery slope that would erode Bangladesh's successes as a progressive society.From 1996 to 2001, Hossain served as Minister of Communications (1996–2001) in Sheikh Hasina's government. Hossain negotiated Jatiya Party's extension of support to Sheikh Hasina's party, the Awami League, to form a national government. This Communications Ministry holds the public works portfolio. His achievements include the completion of Jamuna Bridge, a multipurpose bridge connecting 64-districts and 480 sub-districts (thanas) to its capital, Dhaka. As Communications Minister, Anwar Hossain laid the foundations for a complete road network, designed to reduce the number of ferry stops that were necessary to cross the river arteries of Bangladesh. He was also instrumental in laying the foundation for the first railway to travel from Bangladesh to Kolkata. Hossain's public service also include positions in the legislative branch of government. He served as Member of Parliament in Bangladesh for five consecutive terms. He was elected five times to Parliament in 1986, 1988, 1991, 1996, and 2001 to represent the Bhandaria-Kaukhali constituency in the district of Pirojpur in the National Parliament. 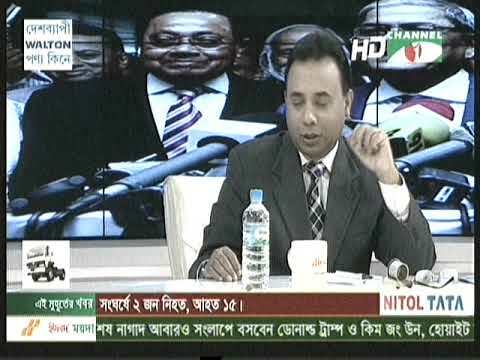 The mandate of the last Parliament expired in 2006, putting into place a caretaker government (CTG).In the aftermath of the January 2007 military intervention suspended the constitutionally mandated elections and extended the authority of the Caretaker Government (CTG), Hossain was targeted together with many other political figures. Hossain's residence was raided with no warrant shown. Facing what he was convinced of being a smear campaign, he left Bangladesh and arrived to Washington DC in May 2007. 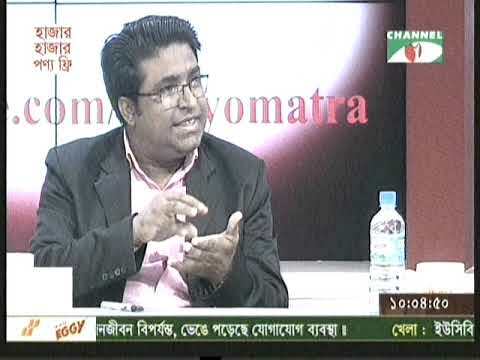 The Anti Corruption Committee (ACC) opened a number of cases against Hossain. He denied all allegations. The US Department of State Human Rights Report for 2007 raises the possibility of a political motivation behind the accusations. 2007 Country Reports on Human Rights Practices Upon the restoration of Constitutional Rights in the fall of 2008, Hossain returned to Dhaka and faced the charges filed against him and successfully appealed a conviction in absentia for the possession of alcohol brought to his daughter's wedding by foreign guests. On August 23, 2010 the High Court overturned the last of the trial courts verdicts which had sentenced Hossain on the basis of ACC accusations. "High Court Overturns another Manju Jail Term" The New Age. August 24, 2010. Dhaka, Bangladesh Today, Hossain's assertions of no wrongdoing and insistence on pursuing the legal course are thus completely vindicated. 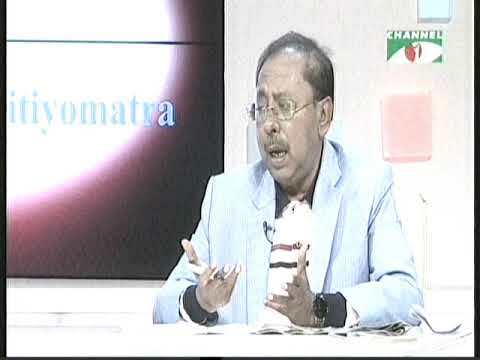 Prior to entering politics, Hossain was one of the most successful men in the media business of Bangladesh. He served as Editor and Publisher of the Daily Ittefaq from 1972 to 2007. The Daily Ittefaq is the first Bangla vernacular newspaper founded by Hossain's father, Tofazzel Hossain (Manik Mia). Following an agreement with the other shareholders of Ittefaq, Anwar Hossain assumed the position of Editor and Publisher in July 2010. Manju gets back Ittefaq publisher post. The Daily Star. July 8, 2010. Dhaka, Bangladesh.Hossain is Chairman of Jatiya Party (JP-Manju). Hossain led the faction of the Jatiya Party that rejected the 1994 decision of the Party leader Ershad to align the Party with Khaleda Zia’s Bangladesh National Party (BNP). He was a Presidium Member of Jatiya Party (1986–1994). Hossain was the Vice President of the Student League, which was the nationwide campus membership of Awami League during his tenure at University of Dhaka. Hossain is also a businessman. His enterprise positions include Founder, the Aegis Holdings Group, a leader in diversified manufacturing and service interests in Bangladesh. 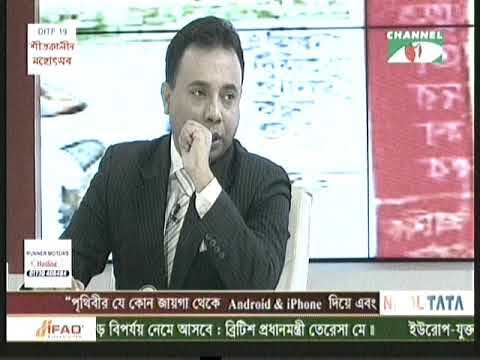 Hossain is also Chairman of the Board, MAST Packaging Ltd. & Zenith Packaging Ltd., one of the most prominent packaging firms in Bangladesh with an international clientele including the British-American Tobacco Company.Hossain is a graduate of the University of Dhaka where he completed his Honors in Geography with Physics & Mathematics. He pursued further studies in International Relations at Georgetown University in Washington, D.C. Hossain is married and has 4 daughters and also has 5 grandsons and 1 granddaughter.